While creating our new ‘Bangkok to Busaba’ dishes we discovered some stunning Rukkit artworks which we had to share with you. 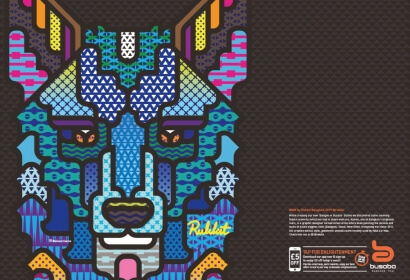 Rukkit, one of Bangkok’s brightest stars, is a graphic designer turned street artist who’s been painting the streets and walls of Asia’s biggest cities (Bangkok, Seoul, New Dheli, Hong Kong etc) since 2011. His creative stencil style, geometric animals were recenty used by Nike Air Max.